19th May will see the release of the new album, Heroes, from Swedish power metal overlords Sabaton. In anticipation of the band’s seventh studio album, they have released the first video in a series of trailers showing the making process of the new album. The trailer can be viewed below. 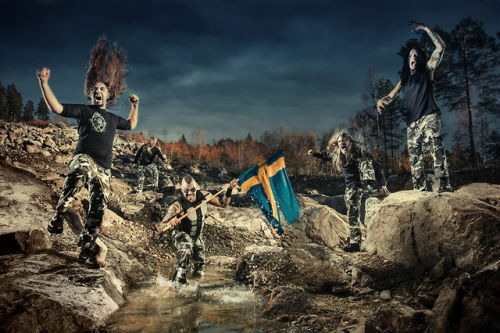 This entry was posted on 7th March 2014 at 1:32 pm and is filed under News with tags Heroes, Nuclear Blast, Peter Tägtgren, Power Metal, Sabaton, Sweden, Swedish. You can follow any responses to this entry through the RSS 2.0 feed. You can leave a response, or trackback from your own site.